German astronomer Johann Gottfried Galle discovered Neptune, the eighth known planet, based on predictions by French astronomer Urbain Jean Joseph Le Verrier and British astronomer John Couch Adams. Herman Hollerith filed his first patent application for his mechanical tabulating machine. The patent was granted 8 January 1889. Without this device, and the computing machines that followed, space travel would be "difficult." J. H. Metcalf discovered asteroid #767 Bondia. M. Wolf discovered asteroids #835 Olivia, #836 Jole and #837 Schwarzschilda. S. Belyavskij discovered asteroids #885 Ulrike, #981 Martina and #2156 Kate. A "time capsule," to be opened in 6939 (after 5000 years), was buried at the World's Fair in New York City, containing over 100 different items including a woman's hat, a man's pipe and 1,100 feet of microfilm. K. Reinmuth discovered asteroids #1749 Telamon and #3745. M. Itzigsohn discovered asteroid #1801 Titicaca. USSR launched Luna 1958A in an attempt to reach the Moon and impact its surface. The SL-3/A-1 launch vehicle disintegrated after 93 seconds due to longitudinal resonance in the strap-ons, causing an acrimonious design bureau debate over fault and fix. NASA and the USAF launched X-15A test mission # 22 in which Forrest Petersen reached a maximum speed of 1783 kph (Mach 1.68) and a maximum altitude of 16.168 km, limited by the premature shutdown of both XLR-11 alcohol/LOX-powered rocket engines. P. Wild discovered asteroid #1768 Appenzella. USSR launched Cosmos 300 from Baikonur, intended to be a robotic Lunar soil return mission, but which failed to leave low Earth orbit because the Block D stage lost LOX due to a valve defect. It re-entered Earth's atmosphere 27 September 1969. NASA launched Explorer 47 (IMP-H) from Cape Canaveral, Florida, to investigate cislunar radiation, the Earth's magnetosphere, and the interplantary magnetic field. Explorer 47 (IMP-H), launched 23 September 1972, continued the study begun by earlier IMP spacecraft of the interplanetary and magnetotail regions from a nearly circular orbit approaching 37 Earth radii, approximately 60% of the distance to the Moon. The 16-sided drum-shaped spacecraft was 157 cm high and 135 cm in diameter, designed to measure energetic particles, plasma, and electric and magnetic fields. The spin axis was normal to the ecliptic plane, with a spin period of 1.3 seconds. The spacecraft was powered by solar cells and a chemical battery. Scientific data were telemetered at 1600 bps (with a secondary 400 bps rate available). The spacecraft was turned off on 31 October 1978. The Salyut 3 return capsule was released from the orbiting station for re-entry into the Earth's atmosphere, and was recovered by the Soviets. Soyuz 22, a surplus ASTP vehicle launched with a multi-spectral camera made by Carl Zeiss-Jena in place of the docking system, landed 150 km NW of Tselinograd with cosmonauts Aksyonov and Bykovsky aboard, after 8 days in space photographing the Earth. NASA flew Enterprise flight 11 (with the tail cone on) for approach and landing tests (ALT), the third free flight of the testbed shuttle vehicle, which lasted 5 minutes 34 seconds before landing on the lake bed Runway 15 at Edwards AFB, California. N. Chernykh discovered asteroids #2657 Bashkiria and #3013 Dobrovoleva. USSR launched the Progress 32 unmanned resupply vessel from Baikonur to Mir. USSR launched the Progress 32 unmanned resupply vessel to Mir on 23 September 1987, which delivered 850 kg propellants and 315 kg food in the 2,000 kg total logistics payload. Progress 32 docked with Mir on 26 Sep 1987 01:08:15 GMT, and undocked on 10 Nov 1987 04:09:10 GMT. After withdrawing to a distance of 2,500 meters, it redocked on 10 Nov 1987 05:47 GMT, undocked again 17 Nov 1998 19:25 GMT, and was destroyed in reentry on 19 Nov 1987 00:58:00 GMT. Total free-flight time 3.17 days. Total docked time 52.82 days. NASA's shuttle Atlantis undocked from the Russian Mir space station, ending the docked portion of the fourth Shuttle-Mir mission's flight. The FAISAT-2V communications satellite owned by the US company Final Analysis Inc. was launched from Plesetsk on a Kosmos booster which also carried Russia's Cosmos 2346 military navigation satellite into orbit. An Ariane 42L launched from Kourou carried the Intelsat 803 communications satellite to space, which was positioned in geosynchronous orbit at 21 deg W.
A Pegasus XL air-launched from a flight originating at Wallops Island, Virginia, carried eight Orbcomm communications satellites (Orbcomm FM-21 - FM-28) into orbit, which were placed in the constellation's Plane C ascending nodes. 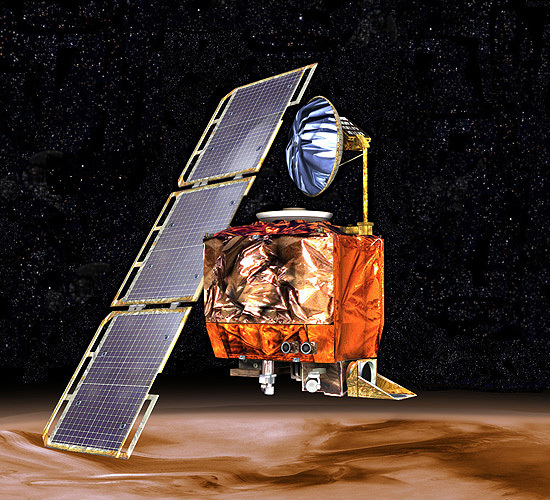 NASA's Mars Climate Orbiter burned up in the Martian atmosphere due to a navigation error. An Atlas-Centaur launched from Cape Canaveral, Florida, carried Echostar 5 to orbit, part of the Dish Network, which was positioned in geosynchronous orbit at 110 deg W.
Russia launched Cosmos 2409, a military satellite lofted by a Cosmos-3M rocket from the Plesetsk cosmodrome. The Earth was not destroyed by collision with a rogue planet as was predicted by Christian numerologist David Meade.